This month has been a big month for L.E.Parr and Tellest. We’ve been spreading the word about her Fariidinus series because the newest book released, and it’s always great to bring attention to a great series. Fariidinus is so big that it’s easy to overlook Parr’s other spectacular fantasy series, though that shouldn’t be the case as it’s awesome in its own right. 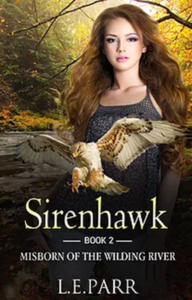 Sirenhawk is to shapeshifting avians what Fariidinus is to its lethal fairies. It’s still urban fantasy, but it definitely has a distinct feel to it. For one, the Sirenhawk books are a little more whimsical. It’s also a mite steamier (Parr definitely knows what fans of shifters want). Best of all, the third book is on the way. Read below to see the blurb for the first book in the series. Iceria, Ice, is a hawk-human shapeshiifter. It’s Ice’s job to protect the Northern Corridor from the hereditary enemy of the sirenhawks, the deadly she’ravens. Iceria’s sisters consider her a little odd. She is a literal thinker, she loves shiny baubles and jewelry and her favorite book is an old English dictionary. In human form, Ice and all her kind are sirens of myth and legend. 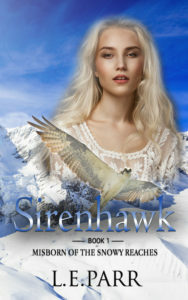 As the battle against the deadly she’ravens escalates, Ice discovers two things about herself. The first, she has a warrior’s heart and the second, she’s capable of falling in love in a very human way. It’s a great time to pick up the Sirenhawk books, especially if you’re riding the Fariidinus high. Parr does a phenomenal job with these stories, and promises more to come before you know it. 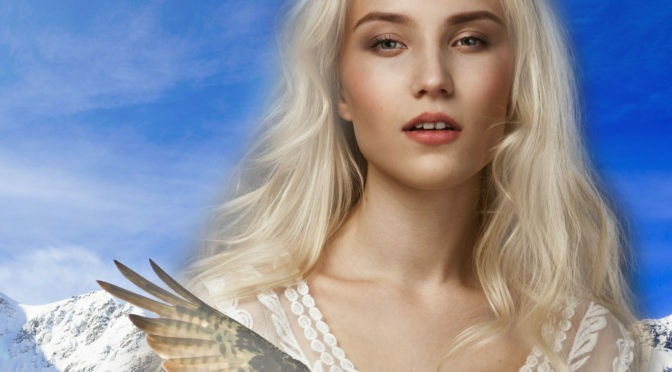 If you like shifter fantasy, this is going to be one you’re going to remember. Check out the series page on Amazon today!